Sometimes I think back to the days when I hated my body; when I was so afraid of just the possibility of a nasty comment from a stranger that I would let it hold me back, let it stop me from doing or wearing or even saying a certain thing. 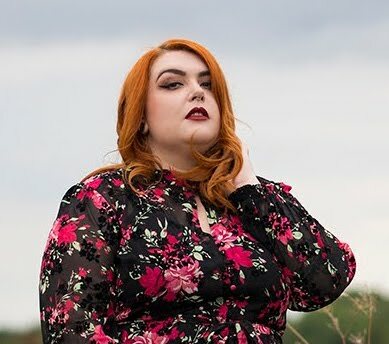 Other than the heartbreaking memories of self loathing tears and a childhood and teenage years spent always on the edge awaiting an insult or a 'caring' comment the thing that upsets me the most is that I let bullying at school stop me from going to university and following my dream of working in fashion. Ask my family or lifelong friends and they will tell you that my whole life I have adored fashion. From the age or around 5 my answer to the ubiquitous 'what do you want to be when you grow up?' questions was FASHION DESIGNER! I still hold that dream and I still design, but back then I just never thought a fat girl would ever get a job in fashion. 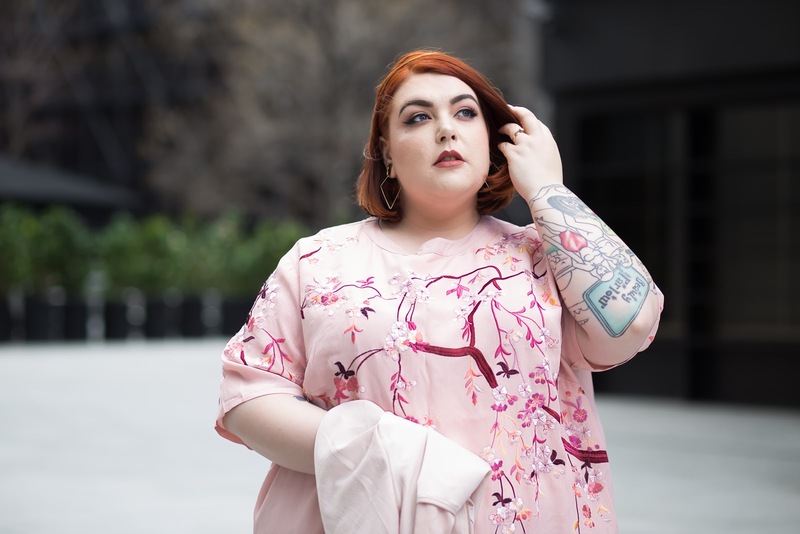 These several years on I know that not to be true and it still stings that I let myself be held back from working on my dream, but that is one of the main reasons I began this blog and posted my very first outfit over four years ago! 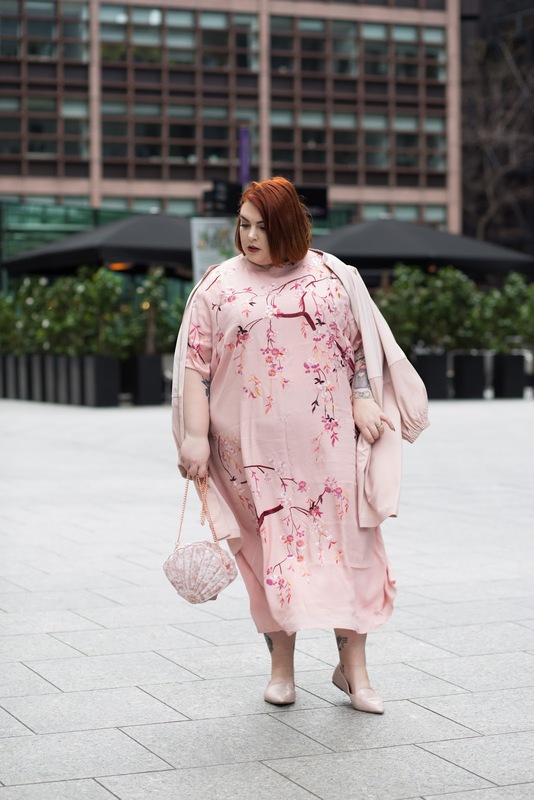 Since then I have met many inspiring women, gone through many hair colours, grown my self confidence in leaps and bounds and the amount and diversity of clothes available to me has improved greatly - a great case in point being this pale pink outfit of my dreams! 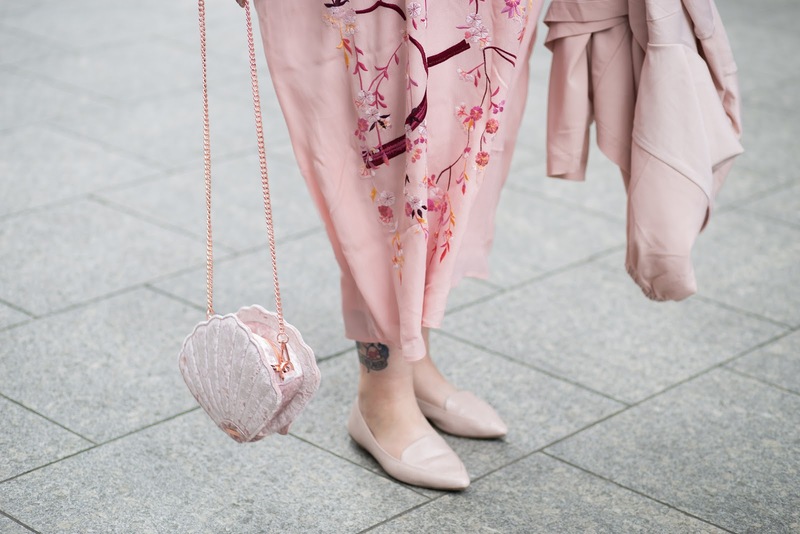 There was no doubt for me that this piece needed to be worn with all pale shades of pink and thankfully my hunt for accompaniments wasn't a tricky one! 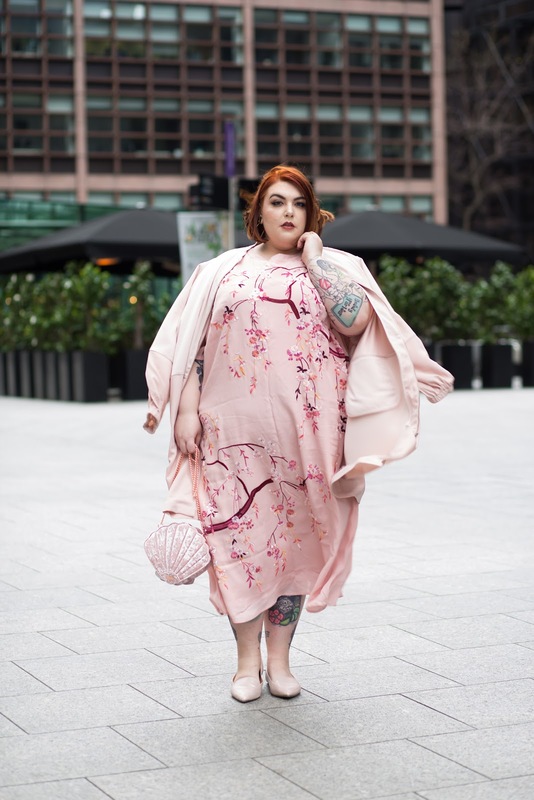 Originally I thought a pale duster jacket would be a great addition, but then I spotted this Longline Satin Bomber Jacket from Simply Be (£39.00) and knew it would work brilliantly. I wish it had banded cuffs rather than ruched ones but it's so pretty that I can forgive that. Again bag hunting was a breeze - I knew Skinnydip would have something adorable to suit and I wasn't wrong. This Skinnydip Crushed Velvet Shell Cross Body Bag (£30.00) was an ASOS exclusive and is sadly sold out right now, but hopefully will come back into stock. If you love the scallop shell shape they have the same style in different colours here! The final touch was a pair of sweet pumps and I headed to my go to brand for cute wide fit shoes Sole Diva and wasn't disappointed. These Pointed Loafers in Pale Pink Snake Print (£15.00) were both perfectly adorable and an absolute bargain!